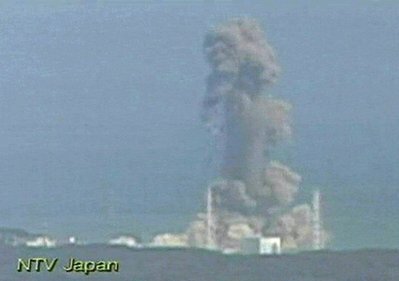 As soon as Japanese authorities were trying to make situation normal at the site where explosion at nuclear plant took place, another hydrogen explosion, second in three days rocked Japan’s earthquake hit Dai-ichi nuclear plant in Fukushima, Japan on Monday, 14th March, 2011. The after effects of explosion could be detected from large distance as it sent a massive column of smoke into the air. The explosion though didn’t cost much life of the Japanese citizen, though it did injure 6 (Six) skill full workers working in the plant. It is still not immediately clear how much radiation has been released in this incident, if any. but one thing is clear it had added to the trouble for Japanese government. Meanwhile in a news report Japanese government said they are now becoming clueless and things are going out of control as one after one something new is happening which can have a disastrous effect. In this case we are hoping international community, apart from helping them with relief work, should also provide technical assistance to Japanese authorities to maintain their nuclear plants. Though Japan doesn’t lack any technology, for humanity all the nations should come forward. According to the figures, More than 180,000 people have been evacuated from the area recently, and up to 160 may have been exposed to radiation that may prove to be fatal. Earlier at the same day pressure started building up in the reactor, signalling alarm which made 21 workers to leave the site, but when the situations appeared to ease they came back to start the maintenance work and then this incident happen which has wounded 6 of them. The reactor’s inner containment vessel holding nuclear rods was intact, Tokyo Electric Power Co. said. In the TV footage of the building housing the reactor, the damage due to this explosion appeared similar to the damage occurred few days back in another reactor, with outer walls coming out, leaving only a skeletal frame.